Santa Fe, New Mexico is a beautiful place to visit any time of year. If you’re planning on vacationing for the first time here, you probably have some questions about where to go and what to do. 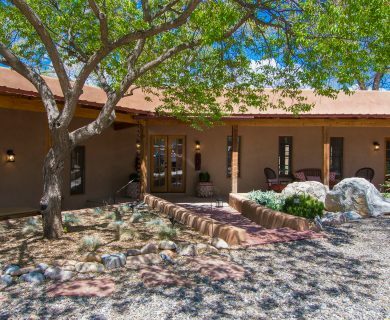 Here answers to some common questions about preparing for your trip to Santa Fe. 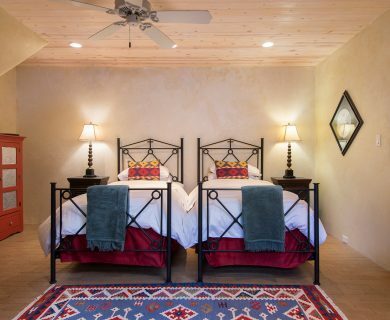 Don’t forget to take a look at our beautiful Santa Fe luxury vacation rentals. 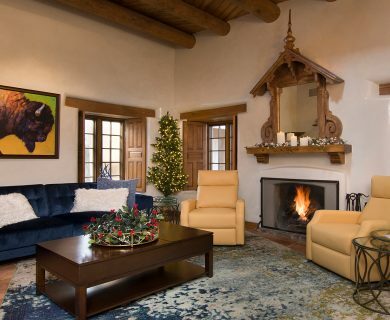 Staying with AQUI is your ticket to an unforgettable Santa Fe vacation! 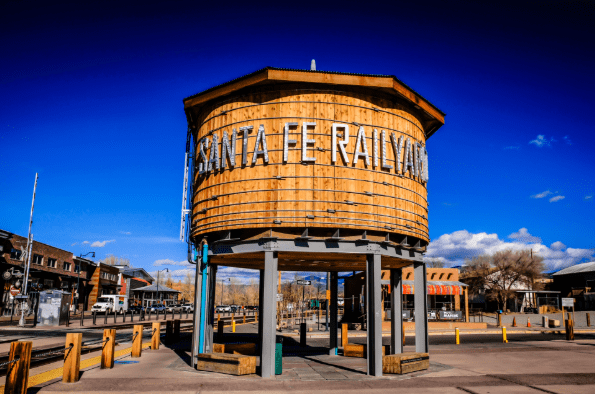 Where to go in Santa Fe, New Mexico? Santa Fe Plaza: The Plaza is the heart of downtown Santa Fe. Throughout the year you can find markets, concerts and other events. Make sure to stop into the Five & Dime and pick up some of their famous Frito pie from the snack bar. 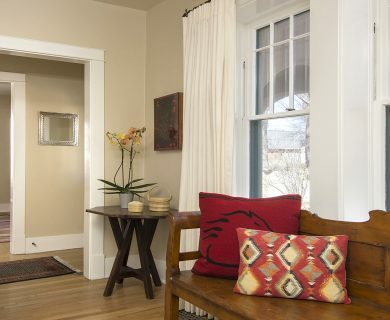 Check out all our vacation rental homes near the Santa Fe Plaza! Margarita Trail Passport: If you love margaritas, you’ll want to get a Margarita Trail Passport. Available as either an app or a physical passport, this gives you access to the best margaritas in the city. Get stamps at each stop, and collect prizes along the way! Annual Markets and Festivals: Santa Fe is full of exciting annual events, markets, and festivals. No matter when you plan to come, you can find yourself caught up in the excitement of a wonderful festival. Take a look at our full list of favorite Santa Fe Things to do. How big is Santa Fe, New Mexico? Santa Fe has a population around 70,000, making it the fourth largest city in New Mexico. It’s the highest capital in the United States, sitting at around 7,000 feet at the foot of the Rockies. Downtown Santa Fe and the surrounding historic districts are compact, which makes it easy to park your car once you get here and walk everywhere else. When is the best time to visit Santa Fe, New Mexico? 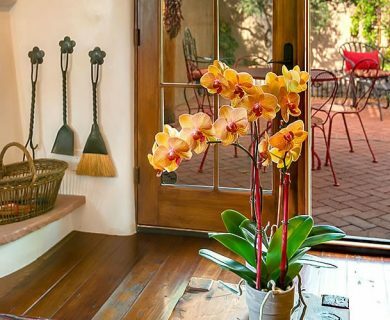 With an average of 300 sunny days per year, there isn’t a bad time to visit Santa Fe. 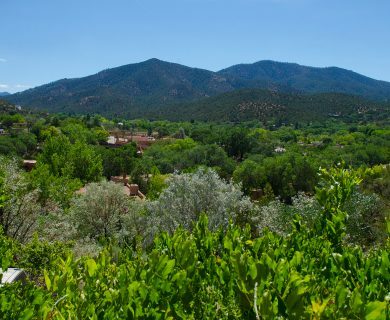 Summer is the most popular time to visit Santa Fe, thanks to its low humidity and abundance of hiking and nature trails, especially for Texans looking to escape the summer heat. 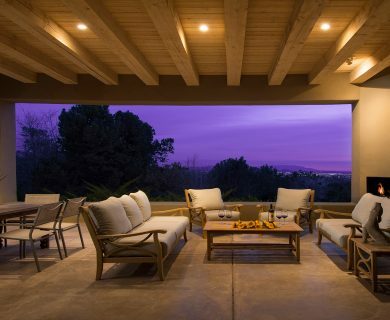 Visitors during the summer enjoy the Santa Fe Opera season, the Indian Market (largest in the world! ), and the Santa Fe Wine and Chile Fiesta, among other events. If you can travel in the fall, though, you’ll still enjoy cool but comfortable temperatures and be able to attend some amazing festivals, like the Harvest Festival, Santa Fe Indigenous Peoples Celebration and the Santa Fe Independent Film Festival. If you’re into skiing, you’ll definitely want to visit Santa Fe in the winter and spring. The cold air is dry in Santa Fe, which means you won’t get bone-chilling cold while you’re on the slopes. After a full day of skiing, many visitors take photography and art classes, snapping photos and painting pictures of the gorgeous landscapes around Santa Fe. What should I to bring when visiting Santa Fe, New Mexico? In the summer, average temperatures stay below 90 degrees during the day and can drop into the 50s at night. You’ll want to bring clothes you can layer to stay warm in the evenings and cool during the day. You’ll probably find yourself outside a lot, no matter what season you visit, so comfortable walking shoes, sunscreen and active clothes are a must. Santa Fe is a casual town, so there’s no need to pack dress clothes, unless you have a specific event you’re attending that requires it. You’ll also want to bring a water bottle, or else plan on buying one while you’re here. The higher altitude takes some time to get used to. Staying hydrated is important, so make sure to drink more water than you’re used to, especially the first day or two of your visit, while you adjust to the heightened altitude. 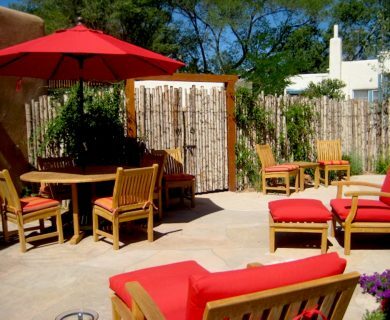 We hope you’re getting excited for your upcoming trip to Santa Fe! Don’t forget to ask Caroline Morgan of AQUI Santa Fe for her recommendations and local favorite spots so you can make the most of your vacation. Ready book a trip? 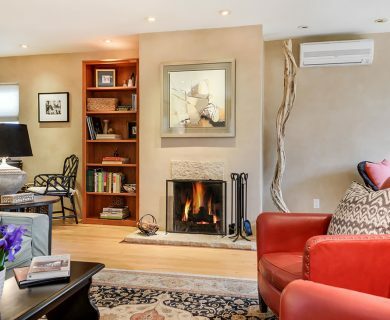 Read more about our luxury rentals in Santa Fe and or pick from our list below and reserve your home away from home today!